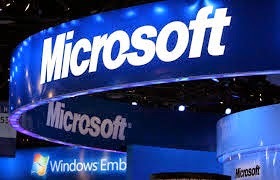 Microsoft today announced that the entire range of its Interactive Entertainment Business (IEB) portfolio would be available in India exclusively on Amazon.in beginning September 1, 2014. 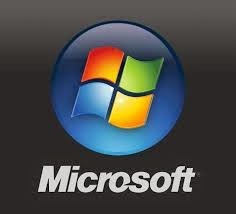 This will include Xbox One, Xbox 360, Kinect, Xbox Live, Xbox Accessories and all Microsoft-published Xbox game titles. Amazon.in also announced exclusive pre-orders for Xbox One beginning today. “We are very excited to be the partner of choice for Microsoft’s entire Interactive Entertainment Business portfolio in India. We are the fastest growing eCommerce platform in the country today and this partnership is a validation of the faith customers and sellers place on our brand. This partnership gives us the opportunity to forge deeper engagement with gaming enthusiasts across the country and aligns with our vision of offering customers in India the widest selection at low prices, fast and reliable delivery and a trustworthy shopping experience,” said Mr. Samir Kumar, Director - Category Management, Amazon India. With this announcement, Amazon.in has also launched the pre-orders for Xbox One from today (August 6th) that includes an exciting bundle. Consumers pre-ordering the Xbox One will get the blockbuster game FIFA 15 for free. The Kinect bundle will include an additional free game of Dance Central Spotlight. In addition, the first 1000 customers will also get special offers worth Rs. 10,000 which include Rs. 3000 off on purchase of a second Xbox One controller, Amazon.in Gift Cards worth Rs. 1500, 2 free Blu-ray movies worth Rs. 2500 (The Amazing Spiderman 2 and Captain America: The Winter Soldier), Rs. 2000 off on a selected range of speakers and Rs. 1000 off on a selected range of backpacks. As announced previously the Xbox One will be available in India beginning September 23rd, 2014 priced at INR 39,990 and Xbox One with Kinect will be available at INR 45,990. The Kinect version will offer a number of games and entertainment experiences exclusive to Xbox including gesture controls, biometric sign-in, Skype video calls and more. According to Anshu Mor, Director – Interactive Entertainment Business, Microsoft India, “This is a historic moment for Xbox in India. This unique partnership and the launch of Xbox One will bring a colossal line-up of exclusive blockbusters, the best multi-player experience and amazing entertainment experiences like Game DVR, Twitch, Live TV Pass Thru, Snap on TV, Skype, Voice commands through Kinect and Internet Explorer. We are also committed to bring local movies, music and on-demand TV as part of our entertainment portfolio for the Xbox Live service. Panasonic recently introduced its new range of electronic whiteboards, the UB-5835 and UB-5335 which come equipped with advanced customized features and ease of operation. These products make meetings interesting and save the time consumed in taking notes. Over time Panaboards are being widely used for better understanding and efficiency. In line with this, Panasonic introduced these two models which are priced at Rs.95, 000 (UB-5835) and Rs. 81,700 (UB-5335) respectively. The new models, UB-5835 and UB-5335 consist of 68.3 inch and 54 inch two wide screens each, which provide endless space for writing. 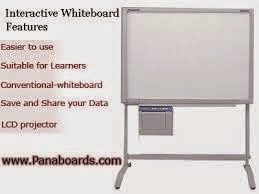 They have advanced Panaboard Overlay software that allows the operator to utilize a projector to display information from a PC onto the whiteboard, while enabling to write notes on the board. The electronic whiteboards come with a built-in printer which makes office meetings and discussions more efficient by eliminating the time spent on handwriting notes. The data can be scanned and stored into a USB flash memory, in PDF or TIFF format. This provides carry-anywhere convenience and enables easy data use using a variety of office equipment. The use of plain paper makes it easy to file it with other documents. The large control panel of the UB-5835 and UB-5335 is designed for maximum ease of use. The power key is located on the control panel, making all operations possible right from the panel. The Panaboard allows a new screen to be used without erasing the information on the previous screen. Simply by pressing a button to scroll, even with a wall-mounted board. The low profile whiteboard body saves space, and the control panel is easy to use. Other than this, the Panasonic electronic whiteboards are designed to consume as little energy as possible, even when the unit is in standby mode. Delivering on its promise of providing innovative products, Panasonic will continue to launch such products in the Indian market and meet the expectations of their consumers. Smartlink today announced the appointment of Ms. Arati Naik as the company’s Chief Operating Officer. 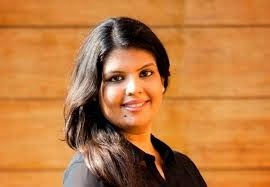 Arati started her career at Smartlink as a Project Consultant wherein she imbibed key elements of product development, people management, developing key strategies for product launches and innovation. The expertise gathered catapulted her to the role of the Chief Marketing Officer. This role was her breakthrough opportunity where she demonstrated her potential and achievements in converting businesses and making new alliances at a much younger age. “I am excited and honored to lead Smartlink. Throughout my career I have had enormous respect for the people of Smartlink and what they have achieved. No-one is blind to the challenges that confront the IT sector and this company, but the underlying strengths of Smartlink in delivering on its strategy are clear” said Arati. “Smartlink will continue to bring innovation at their consumer’s convenience over the longer term and I’m looking forward to playing my part in shaping that future” she further added. The company believes that this is a key appointment at an important time for Smartlink and that Arati’s leadership qualities combined with her strategic thinking and relevant experience make her the right person to drive the company to success over the coming years. Arati’s approach and her track record of delivering results in innovation-driven businesses will be valued by shareholders and employees alike. 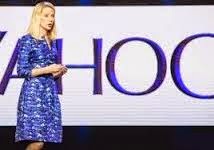 Yahoo announced the launch of Yahoo Aviate, now available for Android users in India. 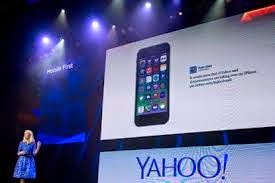 Yahoo Aviate simplifies everything about your phone. It starts with a clean, new layout and apps automatically organized for you. But it’s not just about making your phone simpler - Aviate also makes your phone smarter by offering intelligent information throughout your day. Whether you’re on the go, at work, at a restaurant or just relaxing at home, Aviate automatically shows you apps and information that are useful to you based on what you’re up to. Yahoo Aviate isn’t just an app. As your mobile homebase, it’s the last thing you check at night and the first thing you look at when you wake up in the morning (especially if you take advantage of our new “track your sleep” feature!). That’s why there’s one-swipe access to daily habits like your alarm clock, weather, your day’s calendar, and a twice-daily news summary. * Dress for the Weather: Get prepared with an alert if the weather is different from yesterday - significantly cooler or warmer, or if it’s more likely to rain or snow. * Work Smarter: Connect to conference calls with a single tap (no more typing out conference codes!) and easily email everyone in the meeting if you’re running late. * Get Around: On your way to work? Aviate will estimate commute time, taking traffic into consideration. Heading out to dinner with friends? Aviate makes it simple to call an Uber to get there. · Aviate automatically pulls your most popular contacts into a list of “Favorites”. Now, call or text your favorite people with a simple swipe up from the homescreen. ShopClues.com, India’s first and largest fully-managed online marketplace, announces the deployment of the Decision Support System (DSS) at the back-end that enables the automatic selection of the most suitable courier partner for delivering a product. This intelligent support system will bring tremendous operational efficiency for ShopClues that services over 70,000 peak orders in a day. This cutting-edge DSS feature has been built in-house by the ShopClues team with the objective of eliminating the inefficiencies involved in manual selection of the courier partner for each order placed on the site. DSS will help in reducing courier costs and delivery time, since the most efficient and cost-effective courier partner will be selected by an automatic process. “The benefits of the augmented efficiency will be passed on directly to customers resulting in better savings and an enhanced shopping experience for them. It will also induce transparency in selection of the courier partner and will allow improved management of the growing business volume on ShopClues.com,” said Sanjay Sethi, CEO & Co-Founder, ShopClues. “Our network of +12 courier partners delivers to nearly 15,000 destinations across India - which is the largest for any e-commerce site in the country. While the DSS will bring operational efficiency for us, it will allow merchants to offer improved delivery terms to customers on our platform,” he added. The system’s weighted decision-making method removes the manual intervention in courier selection and arrives at the best-suited courier partner using a pre-defined algorithm. The system will work at the back-end in alignment with ShopClues Velocity, the best-in-class fulfillment service offered to all merchants selling on this platform. For each order placed on ShopClues.com, the most-suitable courier partner is selected by an automated process on the basis of pin code serviceability, minimum delivery time, minimum shipment cost and the capability to service high-value orders. DSS will also enable better service on high-value orders and reduce the number of cases where an order is returned from the courier hub due to value restrictions. The system captures the maximum values serviceable, as defined by each courier partner. The DSS will also help ShopClues to handle embargo situations effectively - so, if a courier goes out of service then one can switch them off instantaneously. With this improved efficiency, the patrons of ShopClues.com can look forward to an enhanced experience of shopping from the site.